When I first began writing, I wasn’t aware that stories were written in points of view. So, what is a point of view? Simply put, it’s a way that writers allow readers to see and hear what’s going on. Point of view in books will contain detail, opinion, or emotion the author wants to accentuate; therefore, a point of view catches the attention of the reader. First-person point of view involves the use of either of the two pronouns “I” and “we”. The advantage of this point of view is that you get to hear the thoughts of the narrator, and see the world depicted in the story through his or her eyes. A good novel selection would be Twilight by Stephanie Meyers. The main female character Bella Swan is the narrator; we see things from her point of view. Second-person point of view, the narrator tells the story to another character using “you” and “your”. This is the least used POV. You will see this used more in literature such as a cook book. Although a perfect selection of a novel used this way would be Jay McInerney’s, Bright Lights, Big City. 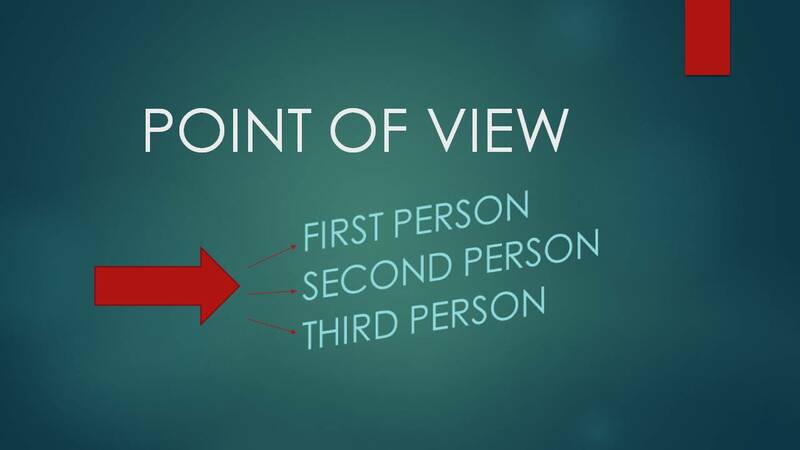 Third-person point of view is the most popular of the three and uses pronouns like “he”, “she”, “it”, “they” or a name. The narrator isn’t present as a character. The writer may choose third-person omniscient in which the thoughts of every character are open to the reader, or third-person limited, in which the reader enters only one character’s mind, either throughout the entire work or in a specific section. A good third person POV book is Pride and Prejudice by Jane Austen. My preference is third person point of view because it’s what I feel the most comfortable with, and it allows me complete freedom in telling my story. I would like to hear from you. Tell me, what point of view you use in your writing?